This course gives you unique access to the television journalism industry with 96% employment rate in the TV or related industry and tailored work placements every week. This course is suitable for students with a first degree looking to become good all-round television journalists capable of working in newsrooms, on multi-media and in documentaries and current affairs. Applicants should have an interest in video and TV films and have a broad general knowledge including lifestyle, sport and politics. While this course is NOT about TV presenting, it’s important that you aren’t afraid to be in front of the camera and even more important that you are keen to write and provide material for others to present. Vitally, you should want to communicate using moving pictures and be excited by the wonderful world of television! 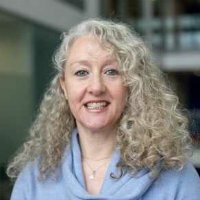 "Journalism at City began as a postgraduate department in 1976 and has developed some of the most respected MA Journalism courses in the country. Alumni include the BBC¹s Sophie Raworth and BBC Head of News James Harding, Sky News' Dermot Murnaghan, Editor of The Sun Tony Gallagher, Justine Picardie, Editor-in-chief of Harper's Bazaar UK, Channel 4's Ramita Navai and Al Jazeera's Barbara Sheera. Recent graduates are reporters, producers, editors and web content providers, across platforms ranging from the Financial Times and the BBC to Buzzfeed and Vice TV." MA Television Journalism has an outstanding reputation in, and unparalleled contact with, the professional world - each Wednesday students work in the journalism industry. With weekly newsdays, students learn practical multimedia skills: finding, researching, writing, newsgathering, interviewing, presenting, reporting, self-shooting, and editing content, all supported by core journalism principles (Media Law, Journalism Ethics, Data Journalism and Political Headlines). Students make half-hour documentaries in teams of three in the final term. These have won such awards as Guardian Young Journalists of the Year, BJTC documentary award, and been re-worked for broadcast on BBC Newsnight. 30 students work in teaching groups of 15 ensuring daily personal contact with tutors including former BBC/ITV self-shooting producer-director Sally Webb; ABC news producer Mike Trew; investigative journalist Paul Lashmar; FOI campaigner Heather Brooke; BBC World Service’s Dr Abdullahi Tasiu Abubakar; former Reuters editor Lloyd Watson and former editor of The Andrew Marr Show Professor Barney Jones. Applicants should hold an upper second-class honours degree or the equivalent from an international institution. Consideration will also be given to mature applicants with substantial work experience in radio and/or television journalism. Students whose first language is not English are advised to apply for the International Journalism MA, which is designed specifically for students from outside the UK. All complete applications will be considered and shortlisted applicants will be invited to attend an open day and interview at the Institution. Applicants must demonstrate a knowledge of TV news and current affairs. We expect a high standard of general knowledge relating to politics, international news, sport and entertainment. Television Journalism applicants would be well advised to have work experience with a TV company or student TV, but this is desirable rather than essential. You should be able to demonstrate an interest in visual media. As well as new graduates, we also welcome mature applicants with substantial work experience in radio and/or television journalism. 2. A copy of your degree transcript. We require one of the following: an original transcript; a copy certified by your institution; or an electronic scan of your transcript. If you have not yet graduated, you will be required to submit your degree transcript as soon as it is available. You will not be able to register as a City student without having supplied your degree transcript. 3. Details of your work experience in journalism. Applicants should be able to demonstrate commitment to journalism through relevant work experience. Please provide a copy of your CV. from the Broadcast Journalism Training Council. of around 15 ensure personal attention. 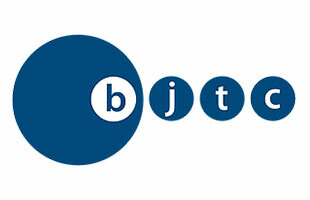 As part of our support for future journalists we have teamed up with big industry leaders (Guardian Media Group Scott Trust Bursaries, The London Evening Standard, ITN, The Daily Mail, BAFTA and the Marjorie Deane Foundation Trust to name a few) to provide funding opportunities to help our students fund their postgraduate studies with us. This year we hope will be no exception (though we cannot guarantee future sponsorship). We announce all our scholarships on our website. To receive email alerts for scholarships sign up here. Ramita Navai, who graduated from City in 2003, is best known for her work for Channel 4's Unreported World. In this interview with PBS NewsHour, Ramita describes her work filming Undercover Syria, which won a 2012 News & Documentary Emmy Award. MA TV have tailored placement each Wednesday. There is no doubt that the size of the City cohort means unique networking opportunities with present students and 4,000 alumni. 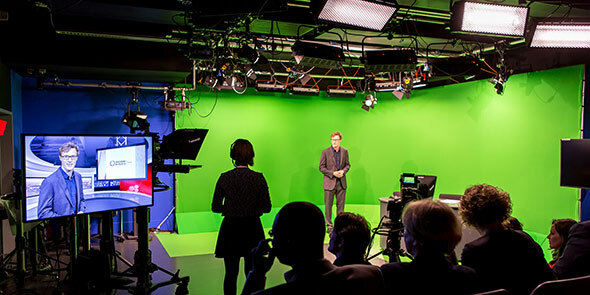 All MA Journalism courses at City are practical, hands-on courses designed for people that want to become journalists. As a result, much of your coursework will be journalistic assignments that you produce to deadline, as you would in a real news organisation. Some courses are taught in lecture theatres but most are small-group workshops that allow you to develop your journalistic skills and knowledge with the support of our expert academics. Assessments vary from module to module but include coursework, practical work both in groups and individually, a Final Project, a written timed test, and essays. This pathway is taught by professors, senior lecturers and lecturers, with industry practitioners as Visiting Lecturers, and a number of key industry visiting speakers. All of our Television Journalism MA students must undertake underpinning core modules in Ethics, Rules and Standards and a Final Project. As a Television Journalism student you will have specialist core and elective modules that complement these projects. You put practical journalism in an ethical context with case studies and there are discussion groups in term two. You bring your skills together to make a film/radio feature or documentary, depending on the course you have chosen. You learn the theory of finding and producing news for TV and radio. You take a weekly news and current affairs test; and learn how to write basic copy for broadcast news. You undertake 15 news-days where you cover a designated area and produce a local news programme. You also look at longer form production like documentary and feature making. On MA Television Journalism you will make a “Question Time” style programme in the studio. You will learn up-to-the-minute journalism skills using statistics and data to provide and substantiate stories. On MA Broadcasting Journalism you make a multi-media radio based offering, producing a two-week long radio as-live radio station. You learn the structure of British Government and how it works; and you meet journalists who report and present it. You learn how to pitch an idea for a new, entrepreneurial sort of journalism. "Get work experience on local, regional or national newspapers, magazines or regional broadcast stations. Check a news website every day (not just Twitter). Immerse yourself in current affairs, watch documentaries such as Dispatches and Panorama, listen to Radio 4's Today programme and watch BBC Newsnight. If you say you don't know who the Home Secretary is because you've been too busy doing your finals, you won't get a place. If you let your general knowledge slip while you are trekking round Thailand in the summer, you will suffer. Read the appropriate media, whether that's the Financial Times, New Scientist or Marie Claire - and most importantly, for broadcasters and TV students, watch and listen. Read books about journalism by top journalists and develop an appetite for brilliantly-written newspaper and magazine features. Take an interest in some of the issues covered and develop your own perspective on them. Develop a professional online presence. Start to read/watch/listen as a journalist (ie. critically), and begin to question why something is news, how and why it is structured as it is and why specific words and images are used. Look at how the story is used across media platforms." Our postgraduate television journalism course has 100% employment rate according to graduates responding to the 15/16 DLHE survey.